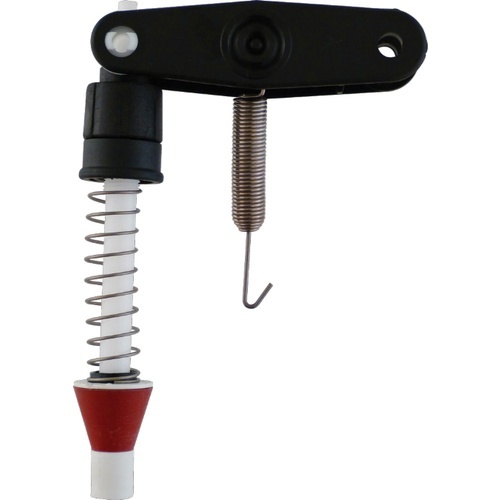 Replaces the entire fill nozzle assembly on the WE620 Enolmatic Bottle filler, including the support arm and spring. After 15 or maybe more years of use filling thousands of bottles of wine, the fill nozzle on my Enolmatic cracked. Since the Enolmatic was originally purchased from MoreWine, I looked there for parts. They had the had the exact replacement. An easy install and I'm back bottling wine. The replacement enolmatic filler nozzle works perfectly. It was easy to install, and I was glad that I could order it from MoreWine. Replaced the one that was acting up. No issues at all.